Re: War in Israel by September as well as a huge earthquake? The more I read and view Christians discussing the rapture, Daniels 70th week, Return of Christ, I have learned to leave options open. The first 4 feast were fulfilled but will the last 3 feast be withheld for Israel? Feast of Trumpets, Yom Kippur, Feast of Tabernacles right at the end at the end of the Wrath of God? Will the rapture be the feast of Trumpets? Will the rapture happen at some other time other than one of the feasts? I just pray that as we continue to watch that the scriptures will continue to become clearer and clearer. I'm not certain so I just keep watch and LOOKING UP prayerfully. Lots of people are looking to April 19-24. What if that does not happen? The month of May during Pentecost?......September - November will start the circulation of the feasts of the Lord rapture timelines again. These are exciting and wonderful days to be a Christian to be sure. 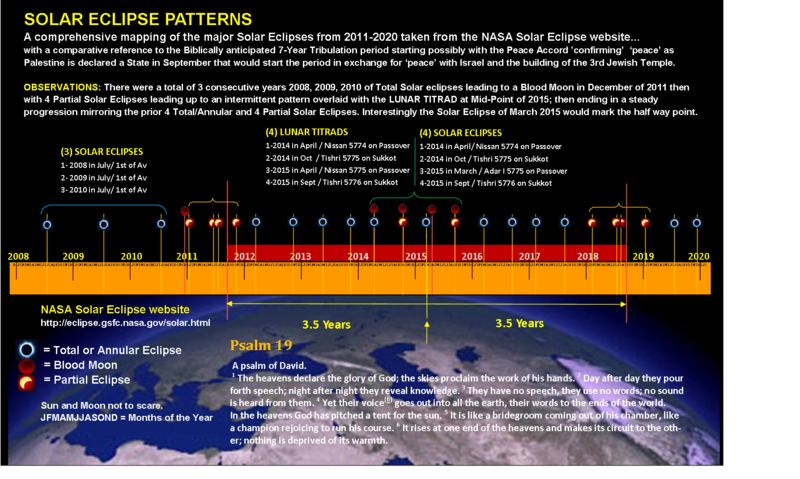 So I was interested in seeing what the projected Solar Eclipses would look like this decade. I decided to plot the anticipated events on a time-line based on the NASA official website. This below is what it looks like! For sure some interesting patterns; especially given the Lunar Titrad in 2014-2015. I speculated the possible 7-year Tribulation starting in the Fall 2011 as a plausible benchmark. We shall see! Click here PDF here for a clearer document. "Important factor to stress regarding Elenin"
I neglected to emphasize one of the most amazing factors tying the coming of "Elenin" into it's relationship to a Sixth Seal (pre-wrath) Rapture this Fall. Even though the video covered this, I would like to further stress the fact that the projected alignment occurs at Rosh Hashanah, which many realize to be a prime Rapture date according to the Lord's Feast Days. The odds of this, along with the great multitude of end time signs that we see rapidly progressing as birth pains, are surely astronomical (no pun intended)! "Life-changing scientific information about what is coming this Rosh Hashanah"
This video explains the Science and Biblical implications of what is soon "coming on the world" as documented via NASA. It is vital to consider that God can use His creation to fulfill His prophetic Word and end time plan. Luke 21:26 Men will faint from terror, apprehensive of what is coming on the world, for the heavenly bodies will be shaken. The repercussions of this incoming celestial body would cause the events of the Sixth Seal; which would be consistent with a pre-wrath Rapture. Revelation 6: 2 I watched as he opened the sixth seal. There was a great earthquake. The sun turned black like sackcloth made of goat hair, the whole moon turned blood red, 13 and the stars in the sky fell to earth, as figs drop from a fig tree when shaken by a strong wind. 14 The heavens receded like a scroll being rolled up, and every mountain and island was removed from its place. 1 After this I saw four angels standing at the four corners of the earth, holding back the four winds of the earth to prevent any wind from blowing on the land or on the sea or on any tree. 2 Then I saw another angel coming up from the east, having the seal of the living God. John's attention is then switched from the Earth back to the Heavenly realm and he sees that there has been an arrival of "great multitude that no one could count, from every nation, tribe, people and language". Revelation 8:6 Then the seven angels who had the seven trumpets prepared to sound them. Revelation 9: 1 The fifth angel sounded his trumpet, and I saw a star that had fallen from the sky to the earth. The star was given the key to the shaft of the Abyss. 2 When he opened the Abyss, smoke rose from it like the smoke from a gigantic furnace. The sun and sky were darkened by the smoke from the Abyss.3 And out of the smoke locusts came down on the earth and were given power like that of scorpions of the earth. 4 They were told not to harm the grass of the earth or any plant or tree, but only those people who did not have the seal of God on their foreheads. 5 They were not allowed to kill them but only to torture them for five months. And the agony they suffered was like that of the sting of a scorpion when it strikes. 6 During those days people will seek death but will not find it; they will long to die, but death will elude them. This coming celestial phenomenon is causing all the major earth changes, causing an increased gravitational pull. As it draws closer we can expect more severe weather, increased seismic activity and more dying wildlife (which are probably being affected by the alteration in the Earth's magnetism). These birth pains will increase in frequency and intensity as Elenin continues inbound towards Earth. As a side note, it is probably no coincidence that the powers that be named this incoming object ELEnin. The acronym ELE, stands for Extinction Level Event: "an extinction event (also known as: mass extinction; extinction-level event (ELE), or biotic crisis) is a sharp decrease in the diversity and abundance of macroscopic life." I would love to have feedback on this matter. I, personally, would not surprised that the Lord would mercifully allow mankind to visibly see this body, "which is coming upon the earth" in order to harvest more souls and to bring the lukewarm into a right relationship with Him. ""Whatever You Want To Call It, It's Coming""
There is an object up there in the heavens that is getting closer and closer, and getting more and more attention. It seems to be coming our way. It is variously called Elenin, Nibiru, and/or Planet X. Sometimes the terms are used synonymously. The object is in an elliptical orbit around the sun, passing by here about every 3600+ years. When passing near us, it is believed to cause great disruptions in the earth. September 4, 2010. Elenin in alignment with sun and earth. 7.2 quake in Christchurch, New Zealand. February 27, 2010. Elenin in alignment with sun and earth. 8.8 earthquake in Chile. much closer to us, the effects probably much greater. September 27, 2011. Elenin now actually inside the earth's orbit, and in alignment with sun and earth. This is just one day before Rosh Hashanah! October 17, 2011. Elenin and earth the closest, with earth crossing nearby. Potential major effects on the earth, possibly of biblical proportions. This will be in the midst of Sukkot (Tabernacles). November 5, 2011. Earth passes through Elenin debris field, posing serious potential problems. November 23, 2011. As Elenin moves on, it will be in a similar position it was when the Chile quake hit, except it will be about six times closer! Friends, we are at the end of the age, and Jesus is coming soon. Keep looking up. We are seeing Bible prophecy coming to pass. Clarification. I mentioned "Elenin, Nibiru, and/or Planet X." Sometimes the name "Tyche" is used instead. If you google these names you get all kinds of opinions, such as when they were discovered. Elenin was supposedly discovered by a Russian named Leonid Elenin in December 2010. Nibiru is sometimes credited to the ancient Sumerians some 5,000 years ago. Planet X goes back to the 1980s. It is all very confusing. But as I said, sometimes the names are used synonymously. Are they all the same? I do not have a definitive answer. Just know that there is something out there, and it is coming this way! "The Path of Comet Elenin - The groom is coming to steal his bride!" To understand this complex diagram, you'll need to fully understand a few scriptural types/patterns. Our God is one of patterns and types. What I've found is the merging of several patterns that could indicate the coming of Yeshua for His bride! Though Perry Stone had a renactment video of Jewish weddings, I recommend that, too. In short, the groom will leave his father's house, 'steal/rapture' his bride, return to his father's house, then to the new room/home for them. Comet Elenin appears in Leo (house of the king), then goes to Virgo (home of the bride), then back to Leo, then to Cancer (Home of the redeemed). Sound like the Groom? Note how comets are like heavenly torches and the groom's procession was often at night, requiring torches. The rapture is strongly connected to the Feast of Trumpets. This *almost* happens every Feast of Trumpets. The sun is in Virgo, the moon below her feet. The problem is that she has no crown. However on 2011-09-29, the Feast of Trumpets, she will have a crown: Elenin. I don't know how it will have 12 stars, but comets are known to fragment/explode. (Holmes, Shoemaker Levy) Keep an eye out for Elenin developments. Clouds darken the skies, cover the sun and the stars... but not the moon. Eze 32:7 And when I shall put thee out, I will cover the heaven, and make the stars thereof dark; I will cover the sun with a cloud, and the moon shall not give her light. Mar 14:62 And Jesus said, I am: and ye shall see the Son of man sitting on the right hand of power, and coming in the clouds of heaven. El means God. Anan means cloud. A slight mispronunciation of Elenin to "El Anan" could mean "Cloud of God"...? Not sure, as I don't know Hebrew. This is the most difficult to discuss with Christians, as the pagan/new age Zodiac has corrupted our understanding of the stars. However, if we look at ancient star names in Hebrew and Aramic, we learn that the do indeed declare the Glory of God! E. W. Bullinger solidly documented this in "Witness of the Stars". Read about God's plan for salvation here: http://philologos.org/__eb-tws/default.htm It is a worthy study. Cancer is "House of the Redeemed. ", it represents the many rooms/mansions Yeshua spoke of. i.e. "I go to prepare a place for you..." Note that Cancer has a group of stars known to astronomers as "The Beehive". A beehive has many rooms. Note the Alpha Omega connection. Virgo is the beginning of the Hebrew signs, Leo is the end. So, we have the first and last connected by the path of this comet. Note Venus in the 'womb' of Virgo, the bright and morning star. Note that Venus will shortly pass Spica, which is known as the "Root of David". Yet another pattern match. Credit goes to all those who have come before me, researching and documenting the various patterns and traditions. All I've done is put the pieces together around this new coming event... Email me if you have questions or if you found evidence to confirm or deny this pattern. Astronomy program is Stellarium, it's a free download, and you can add Elenin to it to verify yourselves... This did not come from a vision or a dream, but by hours of studying bible patterns. This is the real deal though—that alignment did happen as we can clearly see from the NASA simulation. Now we have to live with increasing radiation spreading around the northern hemisphere. We know how easy it is for people in authority to cover up information and lie with a straight face. The Japanese government admitted it kept in secret at least 5000 radiation measurements and assessments after the nuclear event that struck the ********* Daiichi NPP in March. This was done in order to not induce panic in the population, a representative of the staff dealing with the nuclear emergency told ITAR-TASS. "The Path of Comet Elenin - Part 3 - Comet 45P Honda"
In my previous posts, I described how the path of Comet Elenin followed the path of the bridegroom coming for his bride and how the Feast of Trumpets matches Revelation 12. Comet 45P Honda was discovered in 1948 by Minoru Honda. (The year Israel was born.) This will be its 12th path around the sun since it was discovered. Minoru (verb) means "ripe,harvest,bear fruit". It also has the connotation of completion, accomplishment and fulfillment. Honda (name) means "field of origin". Honda rises out of the south, below the equator, from the constellation Hydra. Hydra is comprised of 17 stars (7 heads + 10 horns?). The Sumarian legend tells of Ninurta fighting a 7 headed serpent. Remember, Yeshua will return with the "Clouds of Heaven." Acts 1:09 And when he had spoken these things, while they beheld, he was taken up; and a cloud received him out of their sight. What might this all look like? This image is pure speculation. It does not come from any dreams or vision. And I've taken liberty to split comet Elenin into a ring of 12 fragments and Honda into 7 'heads' with 10 'tails'. This is possible. We saw 17P Holmes explode and comet Shoemaker Levey crash into Jupiter a few years ago. Some comets have been known to have 2 tails. "Grace Ending - Wrath Beginning"
It is now time that I present this information. There is a lot to cover, so I will try to condense the information the best I can. Back in 1983, Memorial Day to be exact, I raised the white flag and asked Jesus to take control of my life. Well, he showed up big time in the form of his Spirit. I went through the most amazing week of my life. My wife, Susan, knows about this, but I did not tell her everything because quite frankly I had no words to describe what I experienced. Among many other “things”, I was told the date 2013. I did not know what that meant, but I never forgot it. For the past 28 years I have studied the Bible, Bible prophesy, every version of “end time events”, and any other subject closely or remotely associated. I am in what I call a mid-life retirement, so I have plenty of time on my hands. In the Bible, Old Testament, some folks had the job of Watcher. Their job was to get up on the wall and watch for enemies while the other folks went about their normal activities. His was a serious job not to be taken lightly. About a year ago I was doing some research on alternate energy and was trying to come up with some experiments to perform. Jeremiah 33:3 came to mind, so I started praying this every day/night. It says “Call on me, and I will answer you and show you great and mighty things that thou knowest not”. That sounded good, so I went for it. I thought I had some good leads, but it was getting frustrating. About 5 weeks ago, I was led in a completely new direction. The last time I experienced such feelings/emotion was Memorial Day 1983. I knew something big was up and God wanted my full attention. Jeremiah 33:3, Luke 12:39, and 1 Thessalonians 5:4-5 kept repeating in my mind (I have a bunch of verses memorized). Well I know what this means. Time is very short. The Lord is coming for his own before the wrath starts. So, I figured if I was receiving this info, some other Christians had to be also. I was led to many great websites and my prayers for knowledge have been and continue to be answered. What I am about to present to you has been confirmed over and over to me – and not by men. Fasten your seatbelts. You guys remember the Hale Bop comet. There was so much media coverage and hoopla it was ridiculous. We knew way in advance of its arrival, how bright it was going to be, where in the sky to look for it. Do you remember the crazy loons that all killed themselves (poison) so they could connect with the hidden UFO trailing the comet? Most of us do – how could one not know about it with all the media coverage. Have you heard of comet Elenin? I bet not. How come? This comet is inbound at @47,000 MPH and will cross between Earth and the other side of Venus. In fact on 09-27-2011 the Sun, Elenin, and Earth will be in alignment. On 10-17-2011 it will be at its closest point to Earth at .232 AU (1 AU is the distance from the Earth to the Sun – so .232 AU is @21 million miles) Not a peep from the mainstream media. This is being kept quiet. What a strange name – more on that later. If you go to the NASA JPL site (do a google search for NASA JPL ELENIN and look at the “nasa link to elenin orbit”) for tracking ELENIN and click on the “orbit diagram” you can see everything. This is pretty cool – there are sliders on the right/left/bottom that change the view orientation and zoom.You can also run through various dates – by hour, day, 3 days, month, etc. Forwards/Backwards. For your information ELENIN is also known as C/2010 X1. If you choose date 02-27-2010 you will see that Elenin, Earth, and Sun are in alignment. How can a comet have any affect on the earth? A comet has no gravitational pull. Hang in there it gets much worse. I have to talk now about PLANETX. Most folks will immediately cry foul and state that no such thing exists. Way back in the late 1800’s it was discovered that the orbits of planets Uranus and Neptune did not follow their predicted paths according to celestial mechanics like all of the other planets. It was theorized that some unknown “something” was causing a gravitational interference. Some pretty smart folks calculated an area where this object should be and started looking. This is how Pluto was found in 1930. Alright problem solved. Well not quite. We really could not accurately calculate the mass of Pluto until 1978 when it’s moon was discovered. Don’t ask me how, but when you have a moon and a planet, then the smart folks can calculate the mass. Turns out that Pluto was about 1/5 the mass of our moon – not enough gravity – keep looking. As time went on several theories were voiced as to what Planetx could be - a planet, neutron star, black hole, or maybe a brown dwarf. A brown dwarf is a star that never achieved enough mass to “ignite”. It would be relatively cool, but still have a heat signature, and a massive gravitational field. Maybe even have orbiting moons. Kind of like a mini solar system. Now you need to know about IRAS. We launched this back in 1983. The Infrared Astronomical Satellite was boosted into a 560-mile-high polar orbit Tuesday night from Vandenberg Air Force Base, CA. It represents an $80-million venture by the United States, Britain and the Netherlands. In the next six or seven months, the telescope is expected to conduct a wide-ranging survey of nearly all the sky, detecting sources not of ordinary light, but of infrared radiation, which is invisible to the human eye and largely absorbed by the atmosphere. Scientists thus hope that the new telescope will chart thousands or infrared-emitting objects that have gone undetected – stars, interstellar clouds, asteroids and, with any luck, the object that pulls at Uranus and Neptune. As astronomers observed Uranus, noting irregularities in its orbital path, many speculated that they were witnessing the gravitational pull of an unknown planet. So began the first planetary search based on astronomers’ predictions, which ended in the 1840’s with the discovery of Neptune almost simultaneously by English, French and German astronomers. Recent calculations by the United States Naval Observatory have confirmed the orbital perturbation exhibited by Uranus and Neptune, which Dr. Thomas C. Van Flandern, an astronomer at the observatory, says could be explained by “a single undiscovered planet.” He and a colleague, Dr. Robert Harrington, calculate that the 10th planet should be two to five times more massive than Earth and have a highly elliptical orbit that takes it some 5 billion miles beyond that of Pluto – hardly next-door but still within the gravitational influence of the Sun. Whatever the mysterious force, be it a brown dwarf or a large planet, Dr. Anderson said he was “quite optimistic” that the infrared telescope might fine it and that the Pioneer spacecraft could supply an estimate of the object’s mass. Of course, no one can be sure that even this discovery would define the outermost boundary of the solar system. Planet X — Is It Really Out There? Shrouded from the sun's light, mysteriously tugging at the orbits of Uranus and Neptune, is an unseen force that astronomers suspect may be PLanet X — a 10th resident of the Earth's celestial neighborhood. Last year, the infrared astronomical satellite (IRAS), circling in a polar orbit 560 miles from the Earth, detected heat from an object about 50 billion miles away that is now the subject of intense speculation. "All I can say is that we don't know what it is yet," says Gerry Neugenbaur, director of the Palomar Observatory for the California Instititute of Technology. Scientists are hopeful that the one-way journeys of the Pioneer 10 and 11 space probes may help to locate the nameless body. Some astronomers say the heat-emitting object is an unseen collapsed star or possibly a "brown dwarf" — a protostar that never got hot enough to become a star. However, a growing number of astronomers insist that the object is a dark, gaseous mass that is slowly evolving into a planet. For decades, astromers have noted that the orbits of two huge, distant planets — Neptune and Uranus —deviate slightly from what they should be according to the laws of physics. Gravitational pull from Planet X would explain that deviation. Morever, says Neugebaur, "if we can show that our own solar system is still creating planets, we'll know that it's happening around other stars, too." If you were paying attention the distance went from 5 to 50 billion miles. Wow – 5 billion miles - that is not far. Oh now it’s 50 billion – we are safe. Do you think they could be lying to us. I would like to point out that this PlanetX is known by many different names depending on what culture one is referencing. It was called Nibiru to the Sumerians, the Purifier to the Hopi’s, others called it the Destroyer. Some say it is Wormwood in the Bible – I think Wormwood is just a big asteroid associated with this object. It is supposed to have a 3600 year orbit. Some say the last time it made a pass was during the Exodus. The plagues of Egypt. This pass will make the plagues of Egypt look like a mosquito bite. There is also the December 21, 2012 date that marks the end of the Mayan calendar – you know the end of the world stuff. There was a documentary 30 some years ago hosted by Leonard Nimoy on the Mayans. Whoever provided the info stated the date was December 24, 2011. You can check out these ancient civilizations stories about this object. Without fail, it appears in the sky as two suns, then turns into an object that has wings and eyes (I would say mucho attracted meteors and orbiting moons). Then all hell breaks loose. The next topic will be the South Pole Telescope – go look it up on google. It saw its first light on 02-16-2007. Why did we build a telescope at the south pole? Remember, Dr. Harrington stated that this object will be approaching from the south. There have been a couple of leaked photos from the SPT taken in 2008. You can view them at www.yowusa.com/planetx among other articles. BTW – these folks are certainly not Christian, more like New age thinkers – but they know what’s coming. While you are on that page be sure to check out the “ESA-NASA Ulysses Probe and PlanetX” article. Make sure you read the entire article carefully. On page 2 check out the picture titled “Ulysses-SWOOPS Solar Wind Dynamic Pressure” and let that sink in. Dr. Harrington stated that PlanetX would approach from the south at a 40 degree angle. The point of the anomaly is in the south left quadrant at anywhere between 10-45 degrees on the ecliptic plane. These anomalies show up in both the 1998 and 2008 Ulysses orbits around the sun. The orbits actually scanned the bottom (south) and top (north) part of the sun. It’s quite easy to see that some large gravitational “pull” is down south somewhere. Wonder what that could be? Now for the good stuff. I know we are getting close, so I was hoping and praying that someone would pick this up with their telescope. Someone did. I am providing 2 links – one is a short video taken at the end of March, and the other is longer, taken at the beginning of March. I am surprised they are still out there. Let me know if the links “disappear” because I have copies of the videos. It’s interesting to look at the hits for these vids – something like 6000. Then you look at the hits for the cute little twins talking baby talk to each other – over a million. Sign of the times. Everyone is clueless. Comments on the first video: This guy has a very large scope – a Meade 20” – something like $30K. He is in his back yard and has videos of this brown dwarf with 4 moons orbiting – he puts the video in motion. What you are seeing is impossible. How can you see moons orbiting around a star. Three of the moons are orbiting in a CCW rotation. The other, which has a tail like a comet, is orbiting in a CW rotation. This is ELENIN. Supposedly, this comet was discovered by a Russian named Leonid Elenin in December 2010 using a remote controlled telescope in New Mexico. How come no media outlet has interviewed him. Show us the comet. What a strange name: Leonid is a famous meteor shower. Elenin could be Extinction Level Event Nibiru Is Near. This would be the code word for the elites to head for their underground locations. Believe me, they know what’s coming, NASA, our Government, Leaders, Elite – they know. I know, some of you think I am nuts and don’t believe a word of this. That’s fine. You will see it shortly. They cannot hide this for much longer. Great. We have a mini solar system heading our way at 47,000 MPH. It will pass through the asteroid belt and pick up some nasty stuff. The comet ELENIN is orbiting this star. I do not know the orbital period, but it cannot be very long – he shows it in motion. Do you fathom what is coming? This star has a tremendous gravity field. It will attract radiation from the sun like a magnet (solar flares) and probably rip our magnetic shield to shreds. The comet is picking up 1000’s of meteors in its tail. This is the beginning of the bad stuff described in Revelation. (and not exactly in any preconceived order). Notice at the end he said he is packing up and heading North. I have read some of the visions/dreams other Christians have recently had. 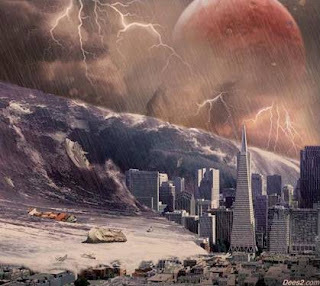 Massive earthquakes, volcanoes erupting, Meteors falling, massive flooding in coastal states, east coast, west coast, gulf states – we are talking tsunami’s hundreds of times greater that Japan experienced. Comments for second video – the longer one posted a month before the first: In this video he is using the orbit diagram of ELENIN from NSA JPL, and the online SKY-MAP program. I suggest that you watch it twice and absorb everything he is saying. Key statements: He has been tracking this area for the past 8 months – He has scanned the area where ELENIN is supposed to be and can find nothing (guess not, since it is doing a CW rotation around the brown dwarf) – The area is moving from Leo towards Orion. This is amazing to me. Leo (the Lion of the tribe of Judah – Jesus – Grace) to Orion (mentioned by God to Job in the Bible – it has been thought that this is the direction of God’s Throne – Wrath). As this gets closer it will start showing up as a second sun. They cannot hide it much longer. The media has put out a story about how the star Betelgeuse might go super nova any day (look it up on google). This is unbelieveable. This star is 640 light years away. That means if we see a super nova, it happened 640 years ago – do they think we are that stupid – sure they do. This event is unpredictable, but it just might happen any day. This star is the top left star of Orion. This will be the cover story when folks start seeing two suns. Actually they already have. Check out the China story of two suns in the sky. They could be seeing these moons as they orbit around the brown dwarf. Orion is very easy to see around 8:00PM (from Houston) Just look to the southwest – it’s just hanging there. Betelgeuse is the top left star – quite bright. There are some other things you need to check out on the net via google search. Secretary of State Hillary recalled all of our ambassadors from around the world for a special meeting on 01-30-2011. Unprecedented in the history of our country. Wonder what the meeting was about. FEMA put out a bid for pre-packaged MRE’s (meals) in Jan 2011 for the tune of 1 Billion dollars. One document states explicitly “a catastrophic earthquake on the Madrid fault line”. This is New Madrid, Missouri. This fault line runs through Illinois, Indiana, Missouri, Arkansas, Kentucky, Tennessee, and Mississippi. The big one would cut the US in half. Check out the FEMA coffins. They are termed coffin liners. Right – they are big enough for Goliath. They can hold 3 or 4 good sized folks plus a few kids sideways (how cozy - a family coffin). Then there are the spirals. The first big one was in Norway. Now they are showing up in Australia and New Zealand. Then there are the UFO’s – they are everywhere. Check out the recent Jerusalem UFO over the dome of the rock. It was filmed by 4 different folks – beware that there are some fakes – some of the best footage I have ever seen. It was also caught on a weather cam. The list goes on and on. There is much more I could talk about but this is enough information. Once this becomes obvious – which might be measured in months – I am sure there will be quite the panic. As for me and my Family there is no panic. We know what is coming. We all know the Lord Jesus Christ Personally. He will take care of us. There is something called the Rapture. It’s a kind of rescue mission. I know some folks, even Christians, do not believe in such a preposterous idea. That’s OK – I do. If you want to stay here fine – go for it – best of luck to you. But, I would strongly suggest that you do not want to be around for what is coming. There is a lot worse following what I described above (hard to believe). I have no clue as to the timing of these events – just that they are close. Real close. "Massive asteroid hurtling towards Earth: November 8, 2011"
"A massive asteroid will fly within the moon's orbit narrowly missing Earth later this year. The space rock, called YU55, will hurtle past our planet at a distance of just 201,700 miles during its closest approach on November 8. That is closer to Earth than the moon, which orbits 238,857miles away on average. With a width of some 400metres and weighing 55million tons, YU55 will be the largest object to ever approach Earth so close." It is, however, still officially labelled a 'potentially hazardous object' - if it was to hit Earth, it would exert a force the equivalent of 65,000 atomic bombs and leave a crater six miles wide and 2,000ft deep." Keep looking up! ...no pun intended, lol ...Jesus is coming soon!! "The Coming Wrath, A Palastinian State in September, The Rapture , Elenin and Its All Connected"
I have been a watcher for over ten years. I am beside myself what God has shown me is coming. It seems everyone watching has a little piece of the puzzle. Who the AC may be, when the rapture ,may be, etc. Well guess what it is all connected. I have received confirmation in the scripture and from other watchers on all pieces of the puzzle and also confirmed with scripture. Enough about me here is what God has showed me. and the bibles have been rewritten and copyrighted (Can God's word be copyrighted) so that they are not receiving the whole truth as well. The fluoride in the water the bromine in the bread dumb us down and makes us more PLIABLE to suggestion from ungodly chatter IE our television. Having proper Iodine supplementation can along with supplements like Calm plus calcium can reverse this docility and also turn off the TV. Just read the KJV Bible (400 years of the truth). The truth is that the life we are leading is a lie we are worshiping the creatures created with our hands, TV, sports, money and God has been removed from education, history, creation, by design. God is calling for true repentance the bible says be holy as I am holy separate yourself from any unclean thing and purge yourself from the filth of the flesh and spirit. The reason 99% of "Christians" are not seeing the clear signs are because they have been taught that salvation is by faith through grace not of works which is true. But works are good deeds that spring from being saved. The fact is the bible says that who are those who believe in Jesus those who follow his commandments. He came to fulfill the law not remove it. Without a heartfelt repentance where we surrender ourselves to the Lord IE Jesus is Lord and Savior and a turning from the walking in the vanity of our minds in this world we cannot be born again. We must confess Jesus as Lord and savior. No one has any problem with Him as savior its just when we suggest He needs to be Lord and they need to capture every thought and action to be in line with Jesus they balk saying that is works. Doing so they quench the Holy Spirit and cannot discern lies from truth according to God's word. So what am i saying? They have no personal relationship with Jesus as their Lord so the Holy Spirit is not active in them. So i hearing they do not hear and seeing they do not see. This whole world is designed to keep them from a true personal relationship with Jesus that does save and reveal all truth. I have earnestly sought the truth and got more then I could carry. And no one besides the two groups who know the season the Born Again watchers and the evil transgressors have a clue. Here is what is coming and how it all connects. We must save others from the fiery trial coming upon the Earth! The fact is that the heavenly body coming into our solar system is tied to our treatment of Israel and they have known about it and prepared. They are pushing for a Palastinian State in a Day By UN Decree by the end of September. Statements have been made it has to be done this September! Why since they know what is coming! This will trigger the Day of the Lord. The instrument of this wrath is ELENIN or NIberu, or X whatever you want to call it. Jesus certainly knew about this object and what the state of man would be when it came again. Jesus said it would be in as the days of Noah to the coming of the Son Of Man. This object coming though 7200 years ago caused the great flood. Only now as all the pieces come together can we see the picture. Check out Firechargers site on Youtube he has a great video that explains this. In essence Elenin is coming between the Earth and the sun September 26-28th This will cause three days of darkness and a worldwide earthquake. 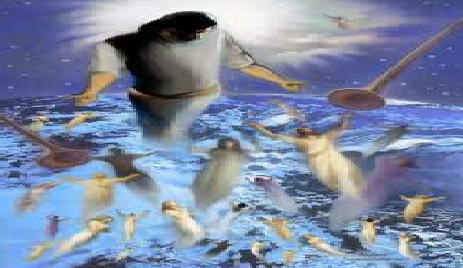 it is the beginning of the sixth seal judgment and rapture where the dead in Christ shall rise. Remember the great earthquake when Jesus died and the darkness and the dead came out of the graves. Plus the video shows and then The sign of the woman giving birth (Venus) it wil appear in the stars on Rosh Hoshanna that is when the rapture will occur. Perry Stone did a great series explaining why the rapture would be on a Rosh Hoshanna. It is the wedding feast of the jews and it is the feast where no man knows the day or the hour. It has a last trumpet get it. The thing is only those Christians who are watching waiting and praying really trying to get themselves seperated from the vanity of this world into a close relationship with Jesus or there already will be ruptured because the Holy Spirit that which came down from above needs to be active in a believer not quenched and prophecy has to be believed not despised for a spiritual readiness to exist. It's the oil in the lamps and where the watchman was watching and his house was not broken up. We are to have oil in our lamps and watch and pray and spereate ourselves to be holy. But how can we watch? God is showing us with the timing of this peace plan having to be done by the end of September. He is showing us who is in office to facilitate it, the signs in the sun and moon and stars along with the revelation with the blood moons and timeline. the rapture is a pre-trib or pre wrath rapture because he said unless those days were shortened no flesh would survive. The point is hardly anyone is watching, waiting and rushing to make Jesus Lord. The powers that be are preparing their caves and bunkers to hide in to emerge and chip the survivors or hey no food and water or off with your head. The watchers are warning and praying and the elite are digging and most are sheep on the wide path perishing for lack of knowledge and willful ignorance of as Jesus said believing in error things will just continue along as always forgetting the days of Noah and what the end of things will be. First Peter says what the end of things will be so what manner of people should we be. The Earth and all the works in it are about to be literally destroyed along with most living on it. Our only hope is to be ruptured before it begins. Only those who have made Jesus Lord and Savior not perfect but redeemed and watching and praying will be taken. The choice is simple either you believe and repent and be saved or you place your bets nothing will come of this and life goes on although when you die you meet Jesus and your not in a relationship with Him the resulting end is the same. Or you ask Jesus to be Lord and savior now while there is time. Jesus is the ARK get on it its starting to rain. For all the watchers out there please piece it together yourselves check the scripture tie in all the preponderance of proof out there. It is like the matrix everyone walking around having fun, going to church eating doughnuts, talking sports and the Holy Sprit gave you the red pill and is screaming in your head to tell them to wake up now. But you have tried and no one listens. They either think they are saved so why worry, or do not care if they are so why worry, or they do not lift their heads up from TV long enough or if its not on CNN its not real. WAKE UP! ELENIN IS COMING AND IT IS THE FORETOLD DAY OF THE LORD THE DAY OF WRATH WHEN THEY DECLARE PALESTINE A STATE IN THE UN. THE USA WILL ABSTAIN AND WILL BE DESTROYED WHEN YELLOWSTONE, NEW MADRID, SAN ANDREAS, ALL GO AT ONCE. TIME IS SHORT GET RIGHT WITH THE LORD NOW. WE CANNOT STOP THIS THE NATION WILL NOT TURN AND HUMBLE THEMSELVES TO THE LORD THEY SEE NO REASON WHY. THEY HAVE NOT BEEN WARNED BY THEY SHEPPARD'S WATCHING THE FLOCK - THEY WILL HAVE THE SIGN OF JONAH THREE DAYS OF DARKNESS BUT BY THEN ITS TOO LATE! PLEASE COME TO JESUS NOW WARN OTHERS ELENIN AND THE WRATH OF GOD IS COMING THE EARTH AND ITS INHABITANTS ARE IN REBELLION TO HIM. Comet Elenin Smoking Gun? White House Letter Addresses Potential "Impending Asteroid Collision with Earth"
John Holdren, director of the White House Office of Science and Technology Policy, or OSTP, outlines plans for "(A) protecting the United States from a near-Earth object that is expected to collide with Earth." Though Comet C/2010 X1 (Elenin) was only "discovered" by Leonid Elenin on December 10, 2010, in the official White House letter below, written back in late October 2010, the White House addressed the possibility of an asteroid striking the Earth. The terminology used in this letter, along with several other facts that have emerged in the time since the letter was written, lead me to believe that our "shadow" government and elements within NASA have long known that anticipated effects of the arrival of Comet Elenin would indeed be much greater than they are telling the public. In fact, I believe that the White House letter below may be the "smoking gun" to help prove that the government indeed does know that the potential consequences facing planet Earth from this comet will be far more disastrous than what they are "officially" telling the public. Who is this John Holdren that is Barack Obama's science and technology advisor who has signed the letter below? Is he the same John Holdren who advocates microchipping everybody as detailed in this story at Big Government? Definitely not the person whom I would want advising me when it comes to a potential "impending asteroid collision with Earth", exactly as stated in the AOL story below. Meanwhile, Comet Elenin is still quite far away from Earth and getting closer every minute. If Elenin's gravitational pull upon the Earth was so great during the alignment on March 11, 2011 that it caused the Japan Earthquake, what will the effects be like when Elenin passes within the Earths orbit in the next 2 months or during the next alignment with the Earth and Sun around the 26th of September of this year, when Elenin should be directly in between the Sun and the Earth? A potentially hazardous object (PHO) is an asteroid or comet with an orbit such that it has the potential to make close approaches to the Earth and a size large enough to cause significant regional damage in the event of impact. An object is considered a PHO if its minimum orbit intersection distance (MOID) with respect to Earth is less than 0.05 astronomical units (AU) and its diameter is at least 150 m (nearly 500 ft). This is big enough to cause unprecedented regional devastation in the case of a land impact, or a major tsunami in the case of an ocean impact. Such impact events occur on average once per 10,000 years or less. Looking at a mere 500 foot diameter, that is absolutely tiny compared to the size of Comet Elenin. Comet Elenin is HUGE! According to this video, Elenin size in the sky in October will appear to be approx. 1/4 the size of our moon. Anyone thinking that a celestial body of this size passing in between our own planet and the sun won't have potentially devastating effects upon our planet should be questioned about their own knowledge of the effects that our own moon has upon the Earth. If it is true, that Leonid Elenin "discovered" Comet Elenin back in December, how long before then do you think it was that NASA's astronomers discovered Elenin? My bet is they must have known about it long before Leonid Elenin did. NASA had the WISE telescope scouring the skies for any potential near Earth objects long before Leonid Elenin officially discovered it. By January 2011, the entire sky had already been surveyed, according to wikipedia at same link above. Should we believe that Leonid Elenin only "discovered" Comet Elenin in the last few days of the WISE telescope survey which covered the entire sky? It is only wise for any governing body of a country to consider all of the "cosmic" possibilities and prepare likewise, yet in dissecting the letter below, I'm lead to believe that these people knew exactly what they were dealing with in writing the letter. It's important to read between the lines. When combining this letter with the many other recent events and "coincidences", I'm led to believe that our government is once again covering up something that could be of life threatening importance to all of us. "Any strategy for addressing the potential hazard of a future NEO impact depends in the first instant on the detection, precision tracking and characterization of potential hazardous space objects" and continues "this is further complicated by the prospect that the orbits of such known objects can be changed by gravitational or solar radiation perturbations, or even collisions with other objects, meaning that periodic monitoring of known NEO's must also be conducted." The principal investigator for WISE said the telescope found dozens of previously unknown asteroids every day. Overall, over 33,500 new asteroids and comets were discovered, and over 154,000 solar system objects were observed by WISE as of October 2010. By May 27, 2010, WISE discovered 12,141 previously unknown asteroids, of which 64 were considered near-Earth, and 11 new comets. This grew to 113 near-Earth asteroids and 16 comets by August 26, 2010. Two unambiguous brown dwarfs have been detected, although their distances are unknown, as well as some brown dwarf candidates. By October 2010, over 33,500 new asteroids and comets were discovered, and nearly 154,000 solar system objects were observed by WISE. Out of this total on that date, 136 new NEA, PHA, & Comets were discovered. Out of these, 19 were new potentially hazardous asteroids, celestial objects both more likely to hit Earth and cause significant destruction (not to be confused with the more common but less dangerous Near Earth object (NEO)). As of Oct 2010, there are 1,151 PHA are known, including those found by WISE. What's to say that Comet Elenin won't soon change from a NEO to a PHO? Even NASA has stated that "there is NO GUARANTEE that Comet Elenin will not strike the Earth!" If an asteroid were on a collision course with Earth, would we be ready to defend against its destructive impact or would we be helpless and defenseless? NASA, America's space agency, is being charged with leading the way to protect not only the U.S. but the entire world in the event of such a horrifying scenario. And a top White House science adviser says we have to be prepared. In separate 10-page letters to the House Committee on Science and Technology and the Senate Committee on Commerce, Science and Transportation, John Holdren, director of the White House Office of Science and Technology Policy, or OSTP, outlines plans for "(A) protecting the United States from a near-Earth object that is expected to collide with Earth; and (B) implementing a deflection campaign, in consultation with international bodies, should one be necessary." Click on this link below to see the White House letter!